We want to realize a calendar function with it, because no calendar plugin works with bbpress like we want to. The only thing we need now, is a page where all topics with a custom field (the calendar date) are displayed. Can you help us with it? I was able to integrate custom fields for a new topic form based on your tutorial. Thank you very much for sharing the information. I was wondering if there was a way to only call my new topic form for specific BuddyPress groups instead of globally. It would give the users of our site the best of both worlds – our custom form for specific groups to be used for specific purposes and the regular ‘new topic’ form for everything else. This is a great workaround, cheers. Unfortunately it doesn’t allow us to search for those extra fields, how would you do that? 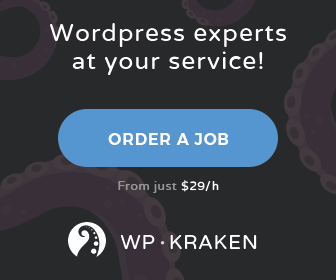 The wordpress standard search will indeed not work with custom fields. 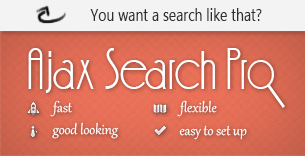 However one of my products called Ajax search pro will and can search selected custom fields, even with custom post types like bbpress posts. Good question. The update_post_meta() covers this, os there is no need for checking. You’ll still want to validate and sanitize the inputs here. The update_post_meta() function only runs php’s stripslashes which unescapes text (https://codex.wordpress.org/Function_Reference/update_post_meta and http://www.php.net/stripslashes). It just takes out single slashes from the input. Thanks for writing this tutorial too. It’s just what I needed. Yes, you are absolutely right. Thanks for warning me. In fact I’m working a tutorial on different approaches of input sanitation and SQL injections in WordPress. Hey, can you tell me how i can use it in reply form? If want to always display behind topics title, How ?! Hi Ernest, how do I add a “drop-down list” field as “extra field” instead of a simple text field? Thanks in advance. Excellent tutorial, just a quick question, how can I add those fields only in one specific forum? I tried everything, but I still can’t figure it out. Thanks Ernest!! this has been quite helpful!! Quote:”Basically you can add as many fields as you want. You can even use select boxes, hidden fields and anything you want to.”. Could you post an example like you did above for one drop down extra field. And nearly more important for me: Is there a way to show the value of those extra fields in the Topic list next to Voices, Posts and freshness? If i had only one field showing up in that list, would save my day, lol. now, how would I make those new fields “required”? This should be a part of the tutorial. Had to scroll way too much for this. Just wanted to know, Can the same be done for a Drop Down List ? The one thing I need help. I want to see the additional information field on another page. 1. In the list of topics bbpress. 2. In the blog grid view screen. If you know, please tell me the available commands. Thank you, I would like to make the custom with the file upload only images.